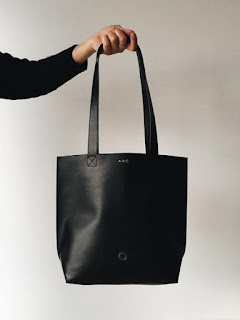 Anna Walker London, who make luxury leather goods in the capital, is opening a pop-up shop at 67 Redchurch Street (where it meets Club Row) from 7th - 17th April 2016. You can meet Anna Walker herself, who will be in-store every day to personalise bags and accessories with her bespoke customisation service, and see and buy items from the range. "Until now, ANNA WALKER LONDON has only been sold online and through exclusive retailers. But between April 7th and 17th customers will be able to browse the minimal, earthy tones of the brand’s Spring/Summer 2016 collection in person. Designer and founder Anna Walker will be in-store every day to personalise bags and accessories with her bespoke customisation service, using the brand’s signature gold foil or blind debossed lettering on each product sold, while you wait and for no additional cost. Prices range from £12 for a leather bookmark to £330 for a large leather tote bag. There will also be a selection of limited edition coloured foils for consumers to choose from as part of the 10 day pop-up event. The launch party will take place on the evening of 7th April, with music from Young Turks DJs and drinks by Forrest Food with thanks to Martin Miller’s Gin and Fever Tree"